Tappy Chicken is the first UE4 game shipped on mobile platforms. 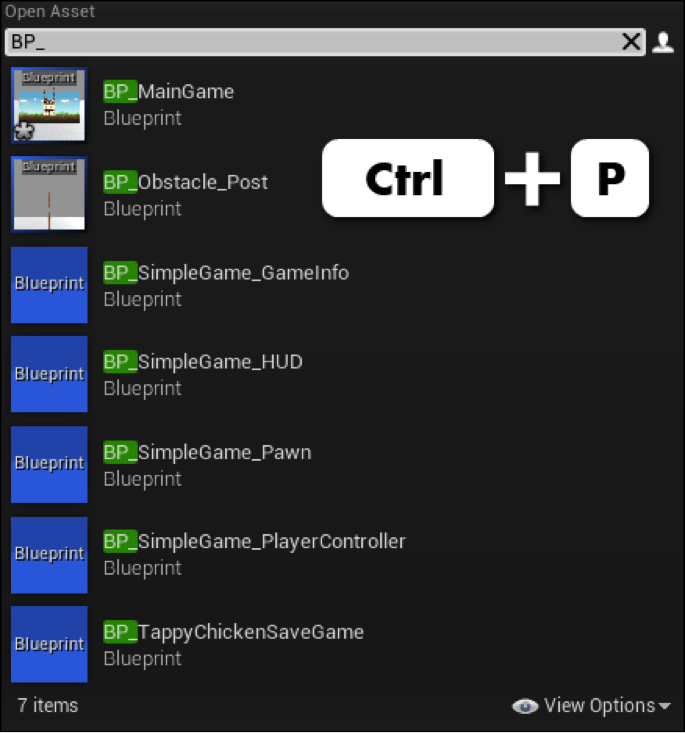 It’s a very accessible one-button game, and you can download the entire game source assets and blueprints from the UE4 marketplace for free. iOS: iPhone 4 / iPad 2 or above, running iOS 6 or above. Android: Devices with an OpenGL ES 2.0 GPU that run API level 9 (Android 2.3) or above. As you build larger projects with Blueprints, it’s easy to end up with an overwhelming sea of nodes. However, we’ve built in a number of different encapsulation and code reuse mechanisms to help you battle the chaos. 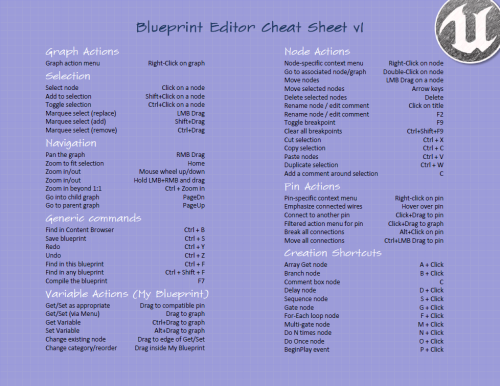 We’ve worked really hard to provide you guys with lots of helpful shortcuts to streamline your workflow within the Editor. One of those improvements is the addition of asset navigation shortcuts. You can Pick an asset to edit from almost anywhere in the editor by using the Ctrl+P shortcut. This will open an asset picker with the search box already focused. 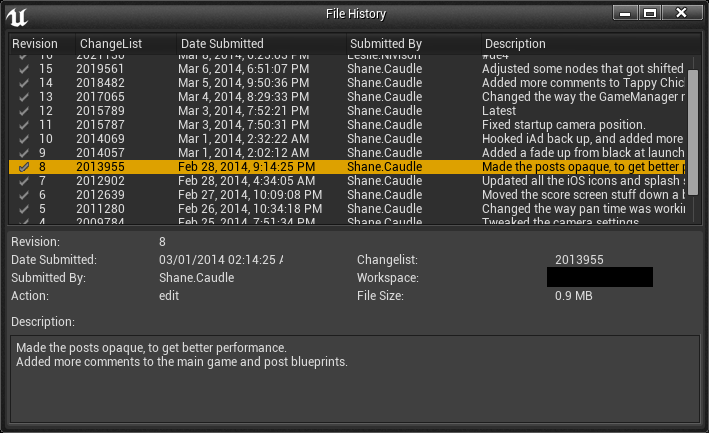 Once you’ve filtered the results, you can use the arrow keys to select an asset and hit Enter to start editing it. The mouse also works to select or scroll, and you can even drag/drop out of the picker into the level editor. When you have one or more selected actors in the level editor, you can Edit their associated assets using Ctrl+E. For example, a selected static mesh actor will open the associated static mesh, while a selected blueprint instance will open the blueprint. If you want to perform some other action on the asset, or just find out where it lives in the Content tree, you can use Ctrl+B to select the associated asset in the Content Browser. This shortcut also works in any asset editor, selecting the current asset being edited in the content browser. 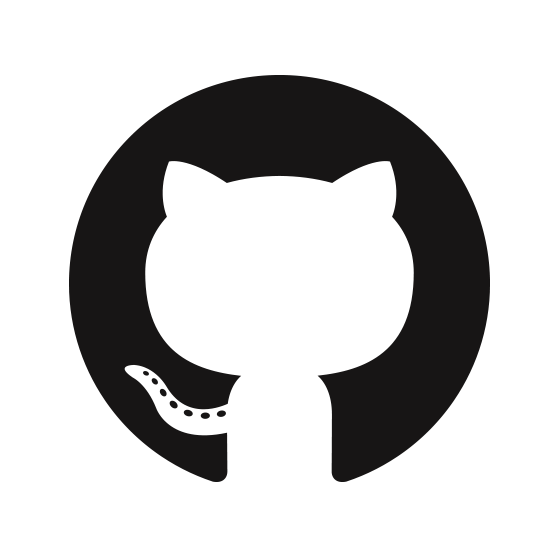 So, source control is awesome, and you should be using it! One of the benefits of source control is being able to look at previous versions of files and compare or ‘diff’ them to see how things have changed. 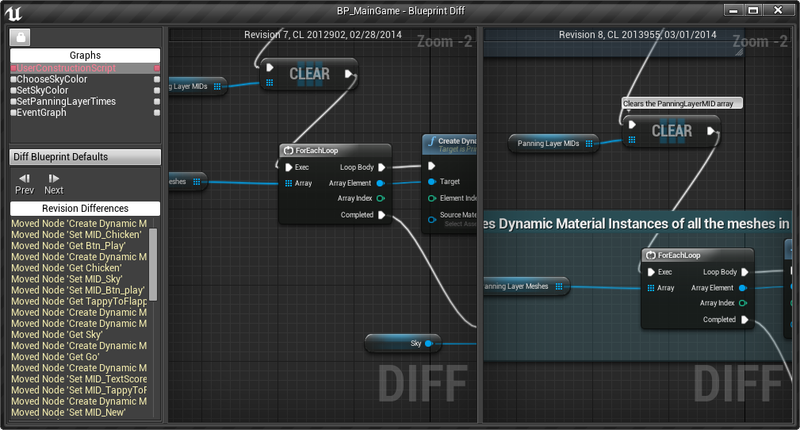 However, regular diff tools don’t work very well on binary files like Unreal .uasset packages. We’ve got you covered with support for exporting a text version of assets that can be diffed using your preferred tool, as well as a built-in specialized diff tool for Blueprints. You’ll need to store your project in a supported source control system for the built-in tools to work. The editor currently has source control plugins for both Perforce and SVN. Perforce is what we use internally at Epic, and it is now free for up to 20 users (and 20 workspaces; you’ll probably end up using 2 or 3 per human user). SVN is totally free and there are a number of cloud SVN providers if you don’t want to host your own server. Note: SVN binaries were not included in the 4.0 release, check out this thread for more details. You can tell if your editor is currently connected to source control by the little icon on the top right of the main frame, next to the [Enter console command] prompt. If the icon is green, you are already connected, but if it shows up as a red no sign then click on it to enter your server settings. 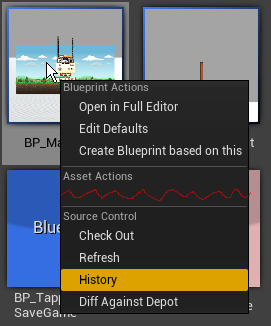 Once you are connected, you’ll see additional options in the context menu for Assets, such as ‘Check Out’, ‘History’, and ‘Diff Against Depot’. Any asset can be diffed, and the default handler will export the asset to a readable text format and launch your preferred text diffing tool (some assets have a more sophisticated viewer). Comparing your current version against depot before checking in is a useful habit to form; it will help you write better checkin comments and can also help catch changes you made to test something but didn’t intend to keep. History gives you a full list of the previous checkins and their descriptions, and you can diff any two arbitrary revisions from the history window (select two revisions and right-click). This can be extremely useful when trying to track down a regression (be kind to future you and write good checkin comments). UStruct is the basic type of aggregate structures (anything that contains other members, such as a C++ class, struct, or function), and shouldn’t be confused with a C++ struct (that’s UScriptStruct). UClass can contain functions or properties as their children, while UFunction and UScriptStruct are limited to just properties. You can get the UClass or UScriptStruct for a reflected C++ type by writing UTypeName::StaticClass() or FTypeName::StaticStruct(), and you can get the type for a UObject instance using Instance->GetClass() (it’s not possible to get the type of a struct instance since there is no common base class or required storage for structs). The template argument to TFieldIterator is used as a filter (so you can look at both properties and functions using UField, or just one or the other). The second argument to the iterator constructor indicates whether you only want fields introduced in the specified class/struct, or fields in the parent class/struct as well (the default); it doesn’t have any effect for functions. Socket Saga is a deck-building card game where your vision of the cards shapes their behavior. Socket together cards and lock in edges to activate their abilities. Earn internet monies, slay memes, and defeat your opponents for everlasting honor. Developed during the 2014 Global Game Jam with Nick Darnell. Check out the card list and rules here, or the GGJ site for more pictures.